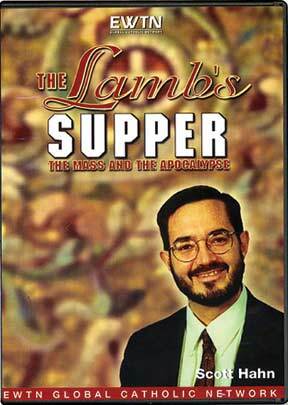 The Lamb’s Supper, is a new 13- part television series hosted by well-known speaker Dr. Scott Hahn. Fellow author Mike Aquilina joins the Holy Mass and the book of Revelation, whose apocalyptic theme has both fascinated and perplexed Christians for centuries. In these superbly crafted teachings, we catch Scott and Mike’s enthusiasm for the Mass as source and summit of the Christian life, and share a glimpse of the heavenly inheritance Christ has prepared for us. “Terrible wars will rage all over Europe. God has long been patient with the corruption of morals; half of mankind he will destroy. Russia will witness many outrages. Great cities and small towns alike will be destroyed in a bloody revolution that will cause the death of half the population. In Istanbul the Cross will replace the half-moon of Islamism and Jerusalem will be the seat of a King. The southern Slavs will form a great Catholic Empire and drive out from Europe the Turks, who will withdraw to North Africa and subsequently embrace the Catholic Faith."